Captain Ivan Khabarov is stuck in desolate Karabas on the Kazakh steppe. Approaching retirement and troubled by his own diminishing usefulness, he tries growing vegetables to feed his men: “From one potato, so they say, you can get a whole bucketful.” Khabarov’s fresh initiative is at odds with the bureaucratic torpor of late Soviet life and a tragicomedy of crossed purposes ensues. The author, 43-year-old Oleg Pavlov, was born in Moscow and spent his military service guarding a Kazakh prison. His experiences there inspired much of his fiction, including “Captain of the Steppe” (2013), which was originally published in 1994 and nominated for the Russian Booker Prize when Pavlov was still in his mid-twenties. A few years later, he actually won the Booker with his 2002 sequel, the second part in what is now the “Tales of Latter Days” trilogy. A more recent novel, “Asystole” (2010), which was shortlisted for the Big Book Prize, is due for publication in English later this year. Pavlov’s evocations of character and atmosphere are both engaging and depressing. The “cheerless barracks,” where the novel is set, is full of “boot-trodden paths leading to dead ends” and stinks of “damp cats,” rotten food, puttees and bleach. “Only the barrack lice circulated freely,” feasting on starving men. The emptiness of the steppe and the claustrophobia of the camp are equally disturbing. The captain is “hauling this barge of a camp and all who sailed upon her, all struggling to keep down a rising seasickness.” Encounters with hunger, frostbite, vermin and overflowing latrines are somehow saved from absolute grimness by Pavlov’s light touch. The despair is partly leavened by entertaining cameos, like Khabarov’s Cossack second-in-command, the huge and eternally drunk Ilya Peregud, with his “endless fear of sobriety”: “Ilya’s heart and soul ran on vodka,” which he could distil from “rice, wheat, rotten apples, wood chips, old women’s headscarves or sour cabbage soup.” With phrases like this, Pavlov commutes unbearable reality into poetic absurdity. The novel is populated by a crew of post-Gogolian grotesques, like Smershevich, the head of the disciplinary “special department,” a huge slab of a man with “dark glinting eyes sunken in beneath his forehead” who wields his false hand “like a cudgel.” The translator, Ian Appleby, wisely leaves this sinister-sounding name in the original Russian; readers who miss the overtones of death (“smert”) might still get echoes of spy-hunting SMERSH via Ian Fleming. 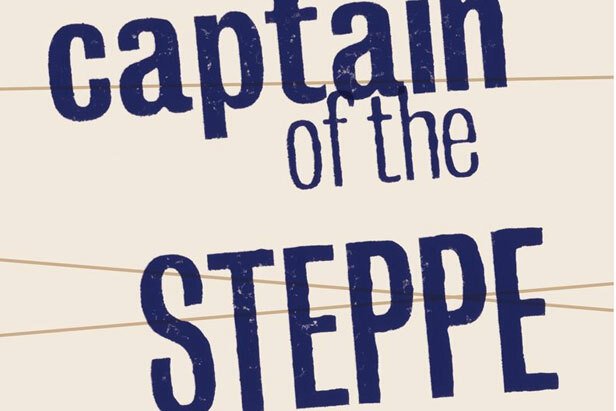 “Captain of the Steppe” is Ian Appleby’s first foray into literary translation, after more than a decade as an interpreter and translator, and he has produced an eminently readable book. He modulates with literary skill the subtle contrasts between the soldiers’ colloquialisms (“That’s our grub…” “Yeah, yeah, cap’n … piss off!”), and the more meditative moments (huts “wreathed in stove smoke” or, steppe villages “covered in hoarfrost and immersed in the tall silence of the heavens”).